Nothing but refunds for me, maybe next year. I am not to sure about the carcass tag "backdoor", it states that I have carcass tags in the mailing status for elk, deer and oryx and none for pronghorn or sheep. I swing for the fences with my New Mexico applications and as much as I would like to have drawn those three tags, I highly doubt it. Yes, I have seen those 18' prices and I have almost talked my self into buying one. I primarily hunt alone or with a buddy but still have a family. The idea of having a five seater that can be used for family rides but quickly turn into a small nimble hunting sxs has really got my interest. I wouldn't use the back seat most of the time on the larger crew cabs. I had a six seater Yamaha viking and I never really used the back seats. Let me know how that Honda 1000-5 is. I have been looking at them for a while and probably will built the bullet this summer and pick one up. GA precision has the 6.5 SAUM Hornady brass in stock on their website. My application is now showing the bonus points I had going into the draw instead of zero. So hopefully today they will update the portal accounts. I have used the eldx in 143 gr on a mule deer, one shot at 220 yards pass through and he dropped in his tracks. I also just used the 145 gr on a javelina at 265 yards and that went through both lungs. The pig ran about 20-30 yards and piled over. Great bullet for thin skinned game but I dont have any experience with them at a long range. Nah the boars smell the same here but are generally a darker color then the AZ ones. More black on them from what I have seen. But it is an interesting observation about the ticks. I have never seen any on any of the javelina I have harvested. Yes, you only get one choice in Utah for the once in a lifetime, limited deer, pronghorn and two for elk. You are pretty much going for the one non resident random tag in most units unless you have max points. I am not saying the draw odds are good, probably the worst in the west just their online application system is the easiest to navigate for me. Yes I know the 7RM is more capable then I am but you always gotta have the new shiny gadget. The 7RM will do everything my skill set allows but the 28 will do it faster. And more expensive. I think Utah has the easiest online draw system but I figure I just buy a ten dollar raffle ticket for each critter in that state. 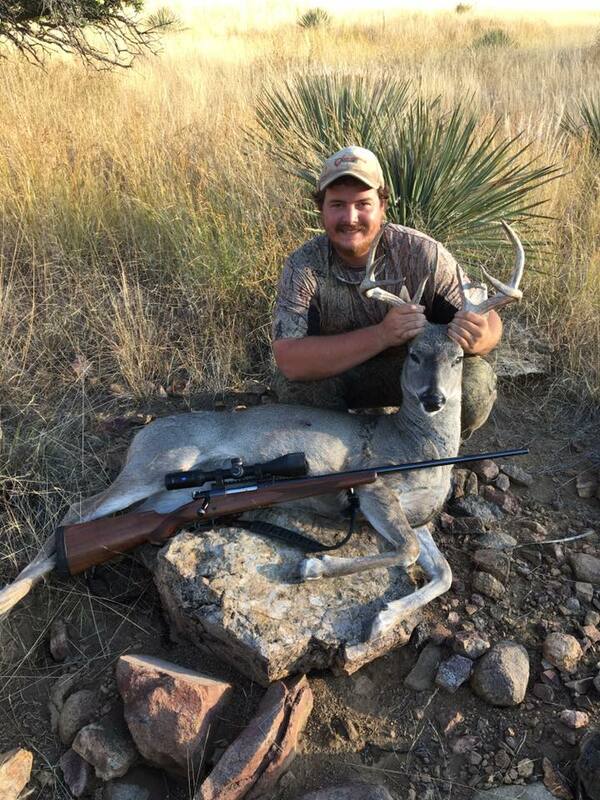 New Mexico is pretty good as well, too bad you have to buy a hunting license their this year. I rank AZ online system above Colorado and Wyoming. Wyoming is the worst in my opinion. Also with point creep in Wyoming the general tag took above 2 points for 100 percent draw odds in the regular draw. The 28 nosler is getting tempting just the brass is a little on the spendy side. But you gotta pay to play sometimes and you get cool points. Lance you are right about finding RL26, I am down to my last lb of it. I use it in my .270 and 6.5 SAUM. I found some at powdervalley but I didn't jump on it and its gone now. I am used to large powder charges with my .300 wby. 10Turkeys I used Hoppes copper terminator on the barrel but it didnt improve the accuracy at all. Gonna wait till the elk results come out anyway. Might have to upgrade the muzzleloader first. Got lucky again! Early archery last year and late rifle this year! Can’t wait! I have a model 70 in 7mm mag that I just cant get to group anymore, I have put 1k rounds through it and purchased it used so the true round count is unknown. I am going to re barrel it with probably a brux 3 in a 1:8 twist. I plan on using the 180 vlds or eldm since I have a supply of each. My question is it worth it to re-chamber in 28 nosler or 7mm STW to gain more speed? I already have plenty of brass for the 7mm mag and from my research I can't use that brass for a 7-300 mag. I do like the 195 bergers but it seems availability can be an issue and I dont know if I can seat them far enough without a wyatt box.